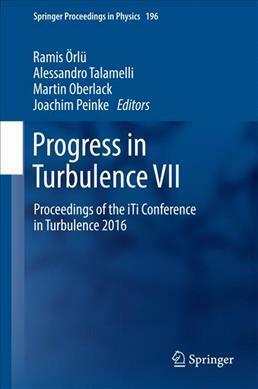 This volume collects the edited and reviewed contribution presented in the 7th iTi Conference in Bertinoro, covering fundamental and applied aspects in turbulence. In the spirit of the iTi conference, the volume is produced after the conference so that the authors had the opportunity to incorporate comments and discussions raised during the meeting. Illustrations note 89 Illustrations, color; 24 Illustrations, black and white; XV, 250 p. 113 illus., 89 illus. in color. Part I: Theory.- Part II: Wall Bounded Flows.- Part III: Pipe Flows.- Part IV: Modelling.- Part V: Experiments.- Part VI: Miscellaneous Topics.